Islamic unit trust funds have become increasingly prominent of late as they are being sought by all investors, not only Muslims. The main objective of such funds is to invest in a portfolio of halal stocks that comply with the principles of the Shariah. The returns of the Islamic unit trust will also avoid the incidence of riba or usury interest through the process of cleansing or purification by removing such amounts representing the interest element. The proceeds are normally donated to charities. Below are some frequently asked questions on Islamic unit trust funds. We hope this article enhances your understanding of the funds. What are Shariah-based unit trust funds, and what is their objective? Shariah-based unit trust funds give investors the opportunity to invest in a diversified portfolio of Islamic securities that are managed by professional managers in accordance with the Shariah. The main objective of these collective investment funds is to provide an alternative avenue for investors sensitive to Shariah requirements. This means the exclusion of companies involved in activities, products or services related to conventional banking, insurance and financial services, gambling, alcoholic beverages and non-halal food products. What are the types of Shariah-based unit trust funds? The funds are available in many forms such as Shariah-based equity funds, balanced funds, Sukuk funds, money market funds, feeder funds and index funds. What are the criteria used in evaluating the companies? Other activities deemed non-permissible according to the Shariah. 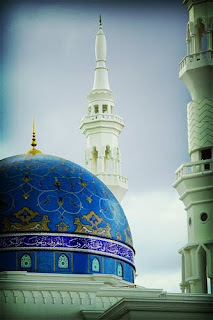 The core activities of the company are important and considered maslahah (public interest) to the Muslim Ummah (community) and the country, and the non-permissible element is very small and involves matters such as umum balwa (common plight and difficult to avoid), uruf (custom) and the rights of the non-Muslim community which are accepted by Islam. Why invest in Shariah-based unit trust funds? The market is in a good position to benefit from a more rapid global expansion of Islamic finance, which has become more established in the last two years. Islamic products and services are gaining widespread acceptance. On the supply side, there are now larger global offerings of Islamic securities by a wider array of issuers. Islamic financial innovation has also grown rapidly. At the same time, the investor base for Islamic products is beginning to widen; around half of the subscriptions for Sukuk are said to come from non-Muslims, reflecting the competitive pricing of Islamic products. Over the years, Shariah-based unit trust funds have proven to be a viable investment option. As at the 31st December 2007, the total net asset value (NAV) of unit trust funds in Malaysia stood at RM169.41 billion (US$50.2 billion), an increase of 39.13% from RM121.77 billion (US$36 billion) at end-2006. This represents 15.32% of the total market capitalization of Bursa Malaysia, of which conventional unit trust funds stood at RM152.5 billion (US$45.2 billion) while RM16.9 billion (US$5.03 billion) were Shariah-based unit trust funds. Why invest in Shariah-based unit funds now? 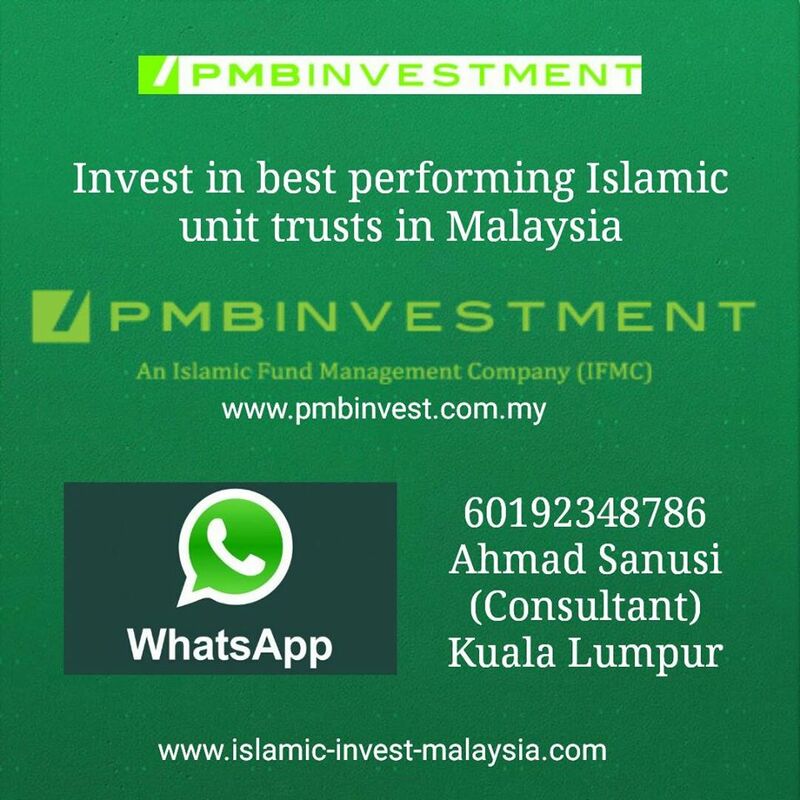 The demand for Islamic investment products is increasing. As at the 30th June 2008, the number of Shariah-based unit trust funds stood at 140, or 25% of the total of 557 approved funds. The NAV of Shariah-based unit trust funds accounts for RM17.98 billion (US$5.33 billion), or 17.74% of total net value to the Bursa Malaysia market capitalization compared to RM9.17 billion (US$2.73 billion) at end-2006. The NAV of Shariah-based unit trust funds for the last decade grew at a compounded annual growth rate of 39.6% while the total industry recorded a growth rate of 17.8% in the same period. 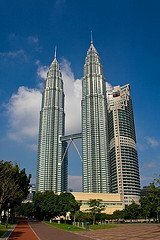 Shariah-based unit trust funds are restricted to investment in Shariah compliant securities approved by the Securities Commission Malaysia while conventional fund investments are not restricted. Unit trusts are affordable as investors can start with an investment amount as low as RM100 (US$30). Rather than concentrating on an investment portfolio of one or two investments or shares, a portfolio of market securities can be held. The wider the spread of investments, the less volatile (i.e. variable) the investment returns will be. In simple terms, investment in unit trusts means diversification of risk — “not putting all your eggs in one basket”. Most investors prefer their investment to be liquid. That is, they can easily buy and sell without difficulty. Unit trusts provide this benefit, easily bought and sold. An excellent return that cannot be “cashed in” (i.e. sold) does not necessarily mean a good investment as poor liquidity constitutes an additional risk factor for the investor. The people managing unit trusts are approved professionals. Their training and background ensure that decision making is structured and in accordance with sound investment principles. In the process, unit trust funds enjoy the depth of knowledge and experience that fund managers bring. In the long term, it is this expertise that should generate above-average investment returns for unit trust investors. For the individual investor, it is sometimes difficult to gain exposure to a particular asset class. For instance, if an investor with RM5,000 (US$1,480) wants to gain exposure to the Malaysian property market, global equity markets and the Malaysian bond market, it would be impossible to simultaneously hold a direct investment portfolio in all of these markets. With unit trust investments, it is possible for the investor to spread his money around to all of these asset classes at the same time, so that he can gain the investment exposure he requires. When making direct investments in Bursa Malaysia, the investor faces costs and charges that are much higher. With unit trusts, the economics of the transaction are more favorable, i.e. the fees and charges/brokerage and so on per investment ringgit are likely to be lower. As fund managers invest in larger amounts, they are able to secure access to wholesale yields and products that are impossible for the individual investor to obtain. For instance, unlike unit trust funds, most individual investors cannot have direct access to the Malaysian government securities market because, among other reasons, the amount of each transaction could run into millions of ringgit. 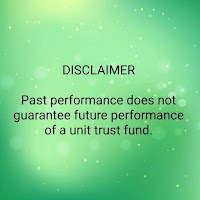 The entire range of variables relating to the unit trust industry is governed by various legislations. 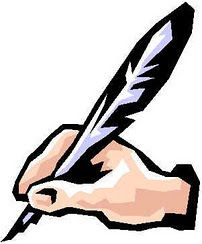 The sole purpose of such regulations is to protect the interests of the investing public. Regulations provide investors with a level of comfort that they are investing in a safe investment mechanism.